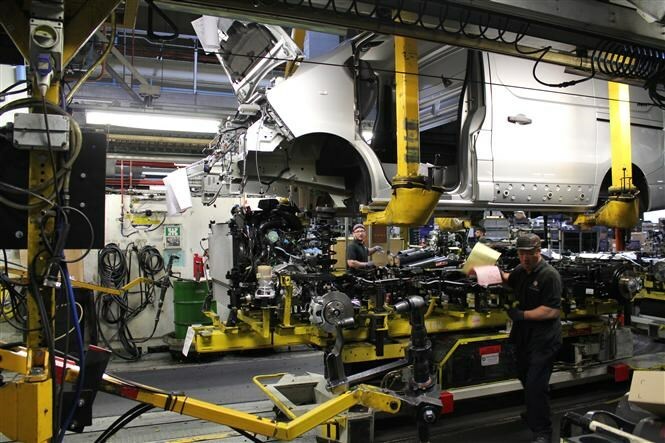 The Transit may once have claimed to be the 'backbone of Britain,' but in common with all of Ford’s other vehicles, it is no longer built in the UK. 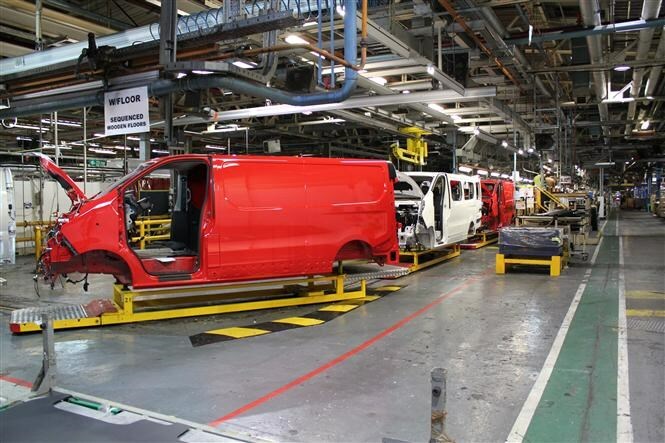 In fact, there’s only one van that can today carry the made in Great Britain tag – and that’s the Vauxhall Vivaro. 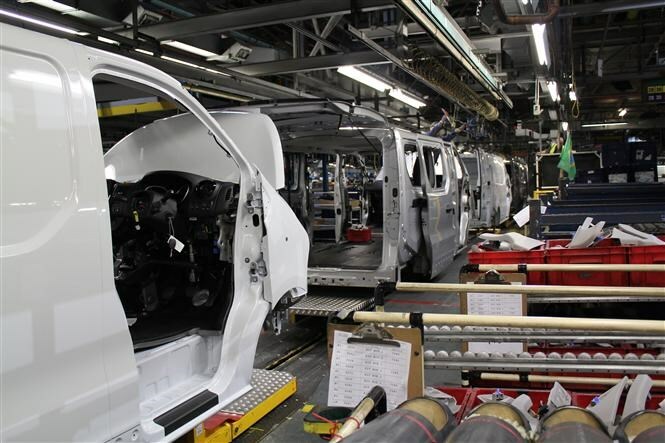 Nearly every single example of the Vivaro – including those sold in Europe under the Opel name – is assembled in Vauxhall’s long-standing Luton factory. Parkers Vans has been for a visit. 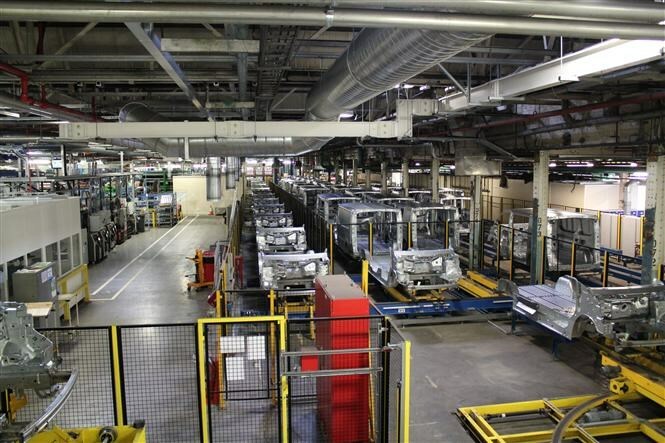 Here’s how Vauxhall’s most popular commercial vehicle is made. Looking for fun stats about the Vauxhall Vivaro? Then click here to jump straight to our Pub Ammo section! 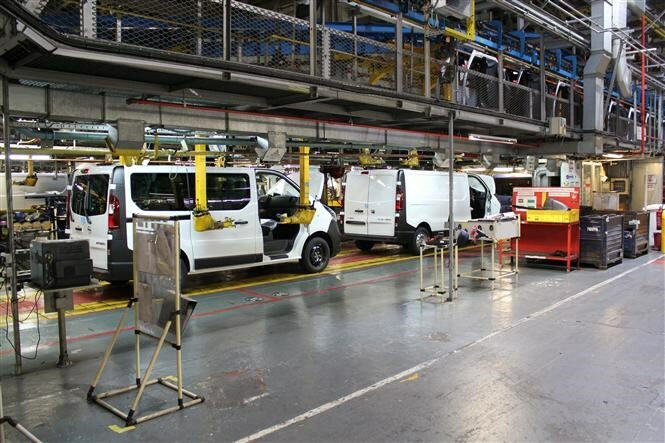 It’s no secret that that Vivaro is essentially identical to the Renault Trafic aside from some cosmetic surgery. 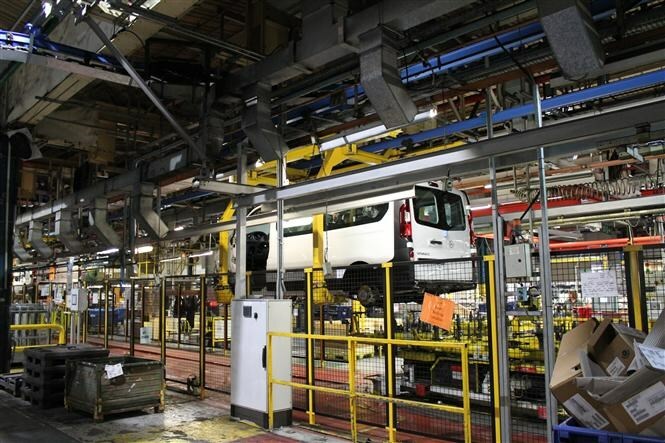 But while the Fiat Talento and Nissan NV300, which are also the same van beneath their respective manufacturers’ bling, are built by Renault in France, Vauxhall builds the Vivaro itself – in a factory that’s been in constant use since 1905 and located just up the road from the firm’s Griffin House HQ in Luton. But while that date establishes the proper sense of heritage, it shouldn’t be misunderstood to also mean that the plant is old fashioned. 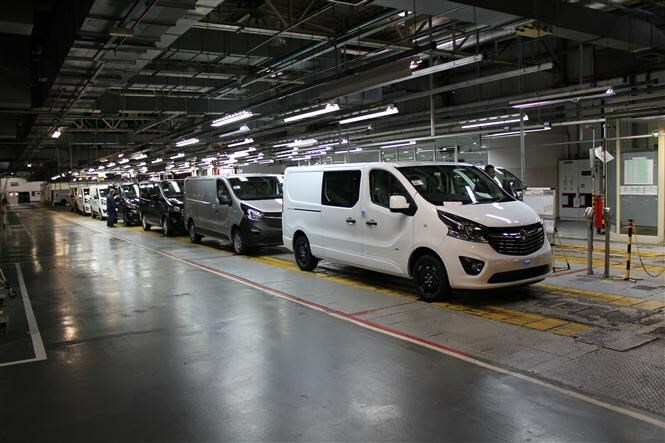 In preparation for the Vivaro X82 – the internal codename for the latest version, introduced in 2014 – the entire facility was overhauled in a process that cost €4.6million (currently around £3.9m, but presumably less pre-Brexit). 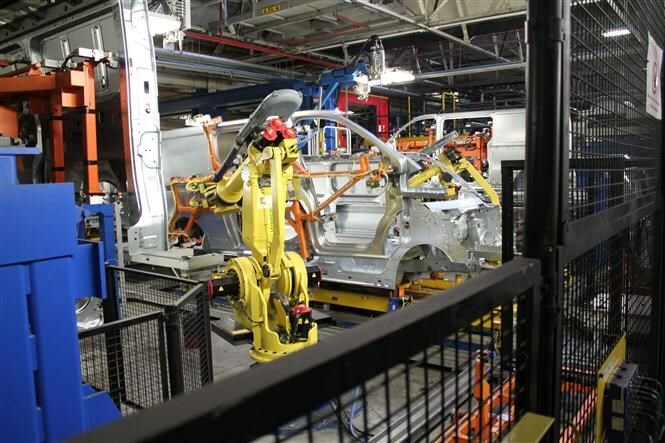 This added an entirely new area of the factory and paid for an influx of robots, ensuring that the fundamental structure of the van is assembled with a consistently high level of precision. This is not to say that the robots have replaced people entirely. 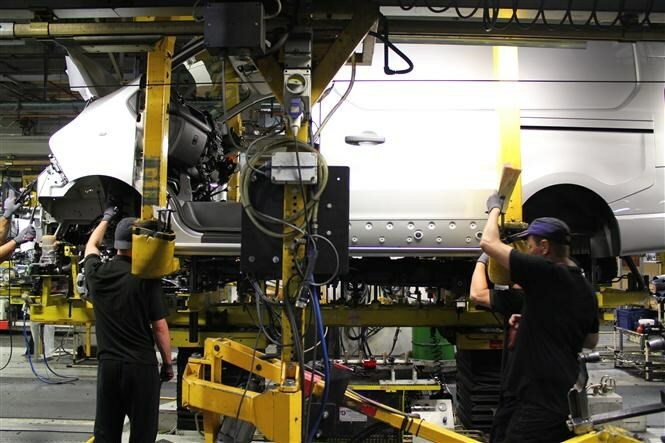 There are 1,449 people employed at the plant, and final assembly is still very much a hands-on job, due to both the dexterity required and the sheer number of fixture and fitment variations available in a modern van. 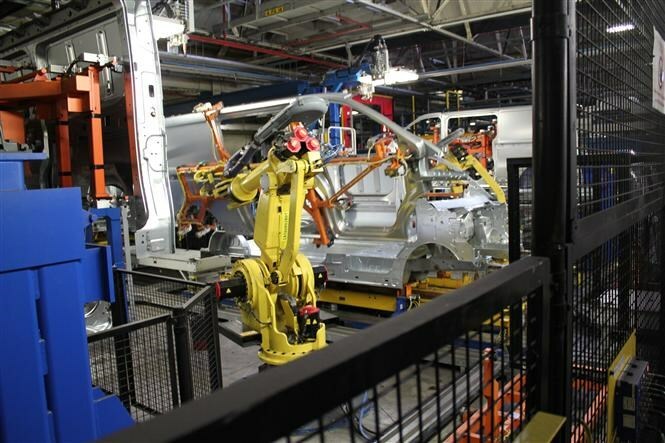 Vauxhall builds no less than 114 variants of Vivaro in Luton, and the robots can’t do everything. Yet. 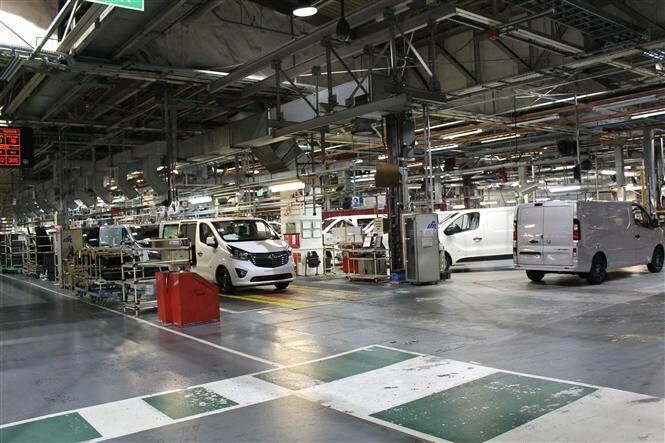 While short- and long-wheelbase versions are no problem, Vauxhall is unable to build the high-roof Vivaro in Luton – and as soon as you step inside the Underbody assembly area it’s not difficult to see why. It’s divided across two floors (Underbody One and Two) in order to cram in all the necessary steps, and there’s simply not enough remaining height to make the tall Vivaro possible; it’s not a big concern to Vauxhall in the UK, however, as only 2% of Vivaros sold here are ordered with this option, and Renault can easily take care of that in France. 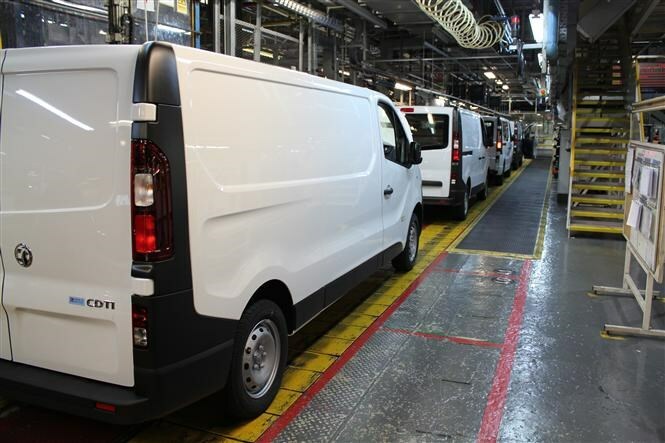 The first components brought together are the long framerails, although already you start to see the variety in the unique number assigned to every chassis; this is key to the type of van, its length, number of doors, whether it’s right- or left-hand drive, and so on. The degree of detail instantly impresses – for example, the cargo floor of the van is different depending on whether it’s specified with air-conditioning. 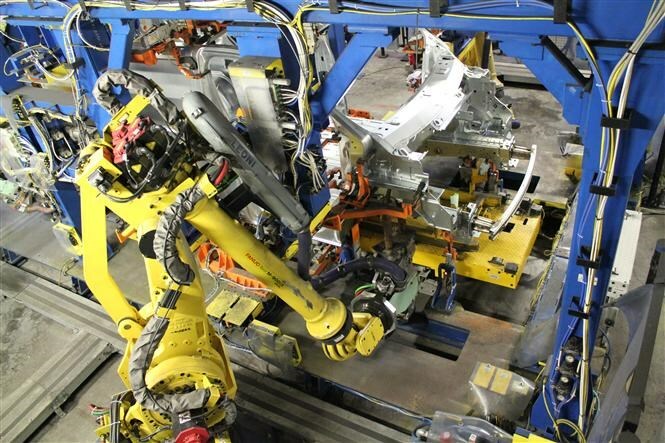 The slightly spooky, unhuman actions of the robots are transfixing, especially in the new Bodysides and Framing section. 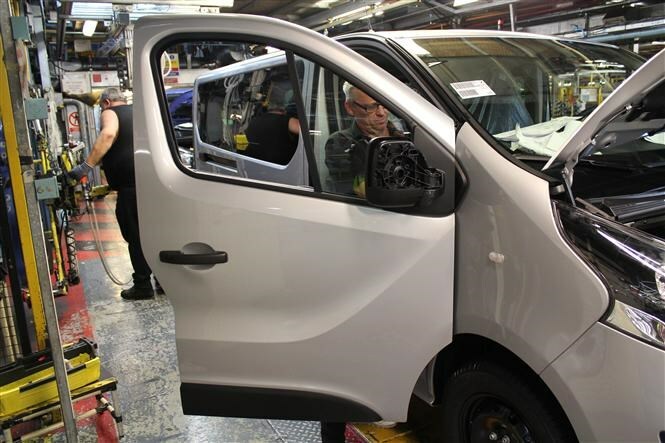 Almost all of them have more than one function for efficiency, and the way they weave in and out of the Vivaro’s structure as it takes shape is a ballet of prescribed motion. Particularly captivating is the body-side assembly “Christmas tree”, which holds six bodysides at a time in a kind of rotating magazine. 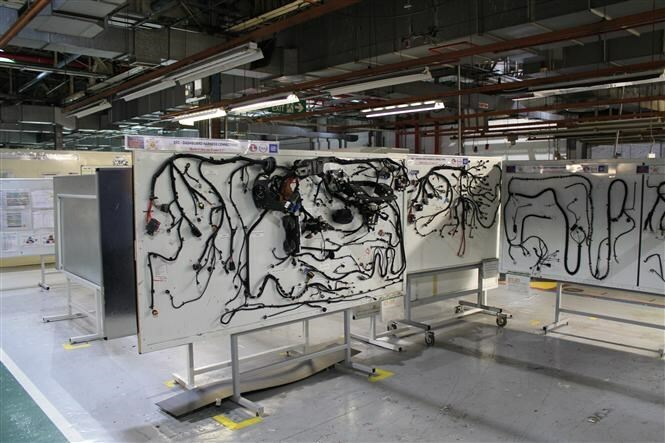 It’s amazing to watch the machines plucking up these ginormous panels as if they weigh nothing at all. This is far from the truth, as the ‘body-in-white’ that leaves the Underbody area to head for the paintshop comes in at over 800kg – and that’s without the heft of the engine, trim or suspension components. 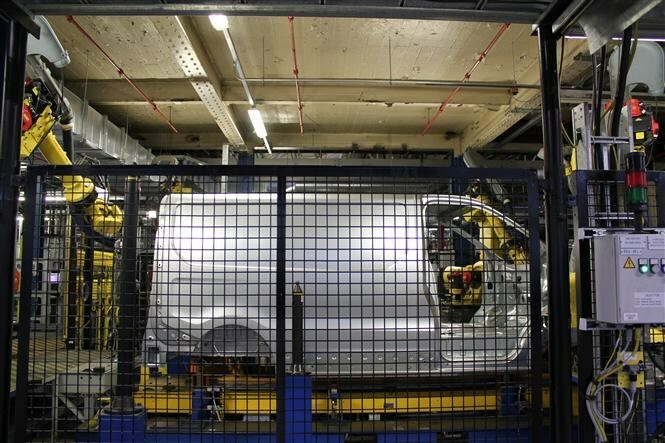 There are 8,500 welds in the X82 Vivaro, and the vast majority are done by robots. 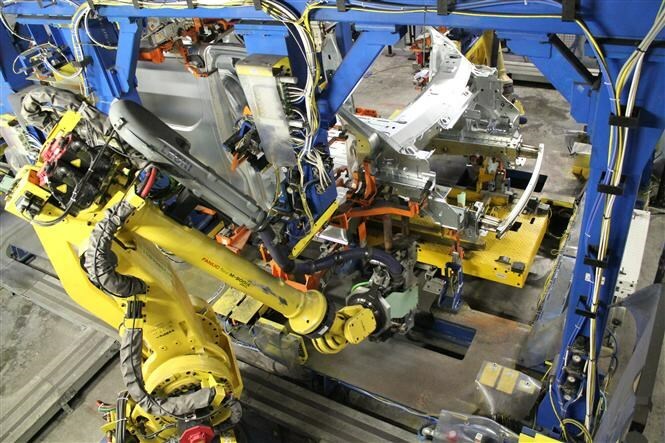 Every day four completed underbody chassis are taken off the line and subject to the Corner Measurement Machine, which takes 1,300 measurements at an accuracy to three decimal places (equivalent to the width of a human hair) to make sure everything is assembled correctly. 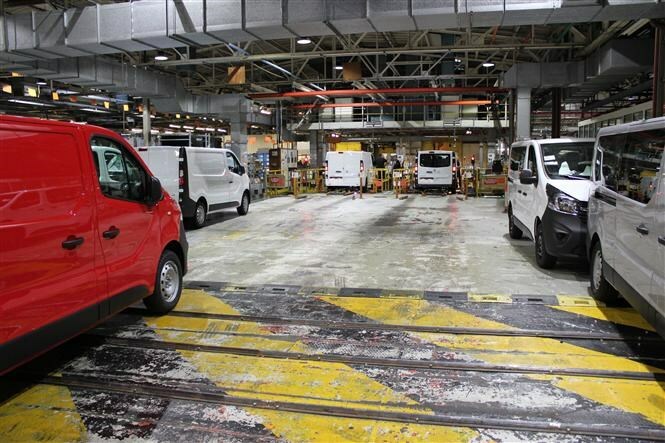 Every single Vivaro stops at the NDT station, which uses ultrasound (the same tech used to view unborn babies) to check the depth and width of the spot welds, while an area called the Perceptron Cell checks 115 fundamental geometry points and devices called Temperature Compensation Spheres account for variances in the factory atmosphere to retain tolerances over time. 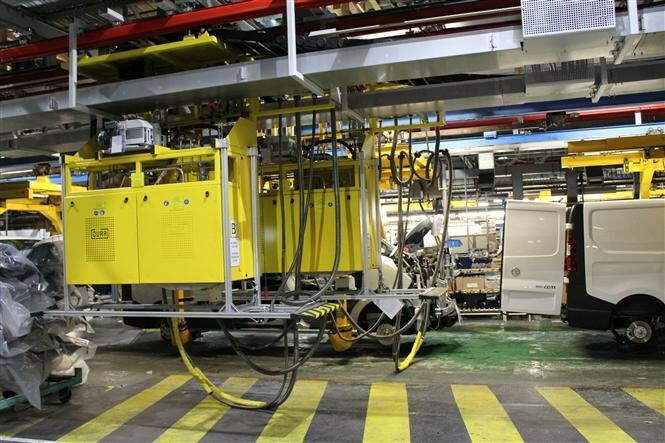 A big green booth protects sensitive eyes from the CO2 welding used in high-impact areas. Data on everything is stored on a central computer. 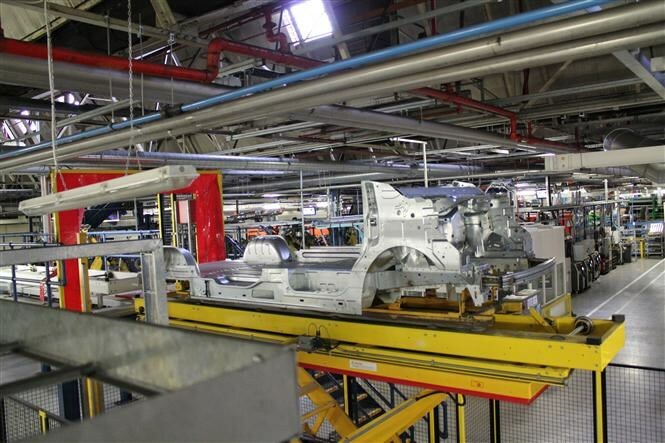 This allows Vauxhall to track trends and, if necessary, identify the origins of errors. 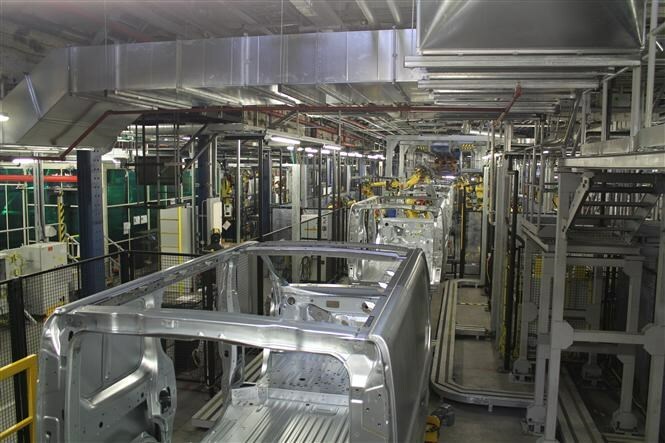 The completed Vivaro structure then passes through the paint shop before arriving in the General Assembly area. 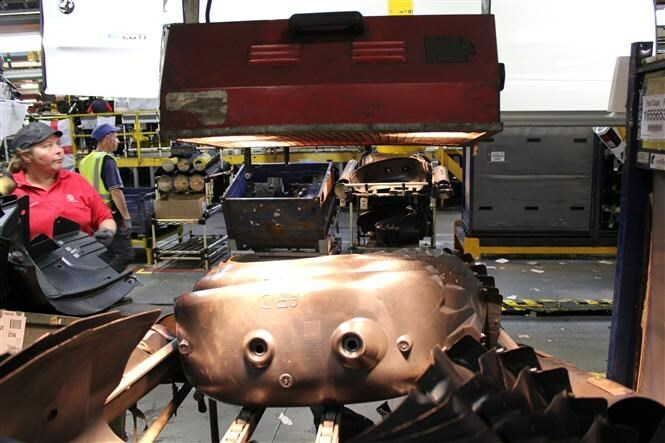 Here there are 489 people employed across two shifts and 115 stations, working five days a week, turning the empty shells into finished vehicles. 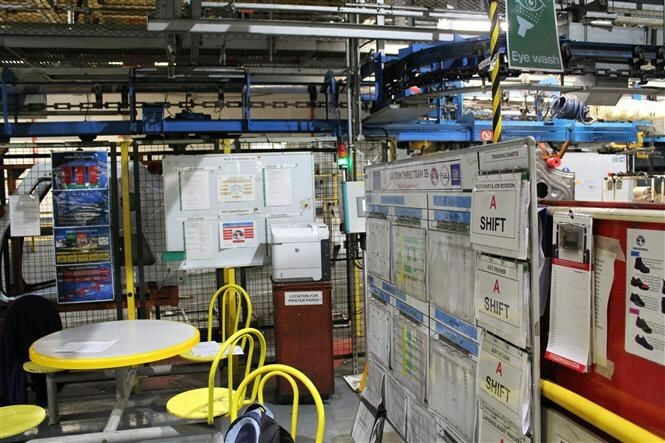 The target is to complete 362 vans a day, though at present the factory is working an extra five minutes on every shift in order to try and complete seven more. 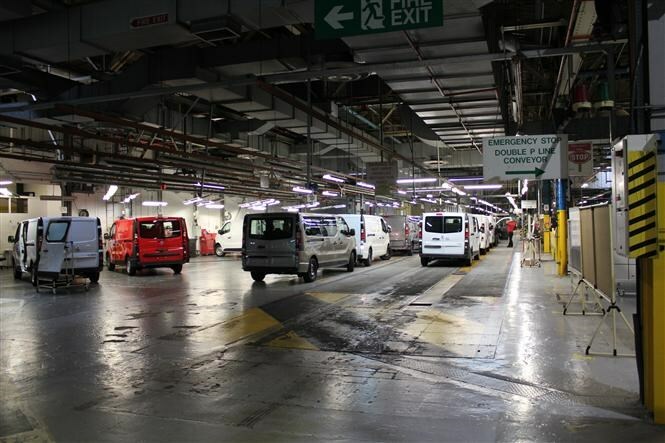 As Unit Manager for General Assembly Stephen Withey explains, Brexit has not yet had any impact on demand, and currently the lead time for a Vivaro is three months. ‘Every van we build is already sold,’ he says. 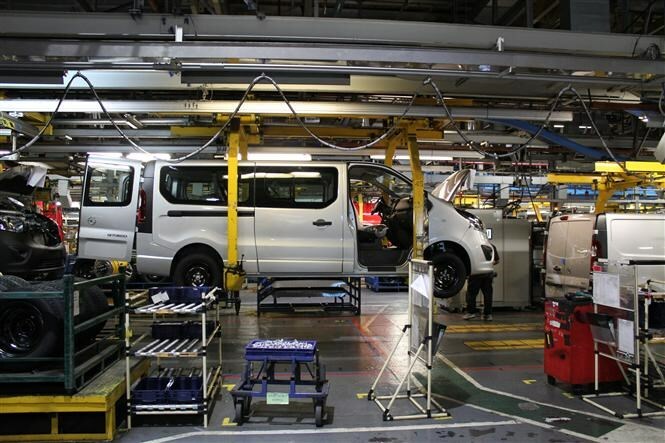 With more than 100 variants of Vivaro produced in Luton, General Assembly is where things get really complicated. There are, for example, 26 different types of air-con pipe and 28 different electrical wiring harnesses – fit the wrong harness and it’s a 15 hour ‘rework’ job to correct the mistake; fortunately Withey can’t remember the last time this happened. That’s not to say there aren’t issues occasionally. Every completed van is subjected to a two minute leak test using 250 water jets, and at one point there was a problem with loose roof bolts letting the water in. 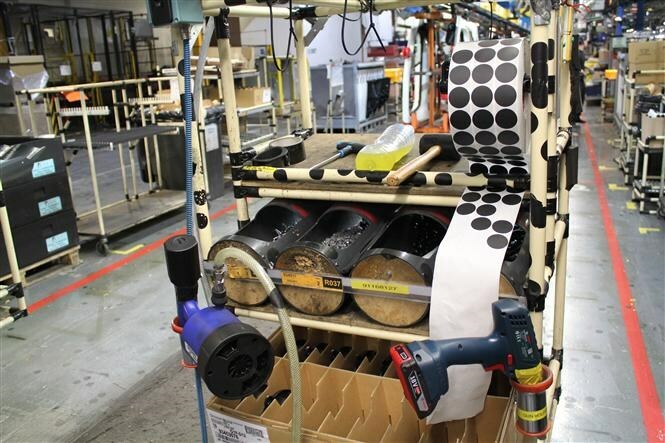 This area is now checked by camera to make sure everything is (water) tight. 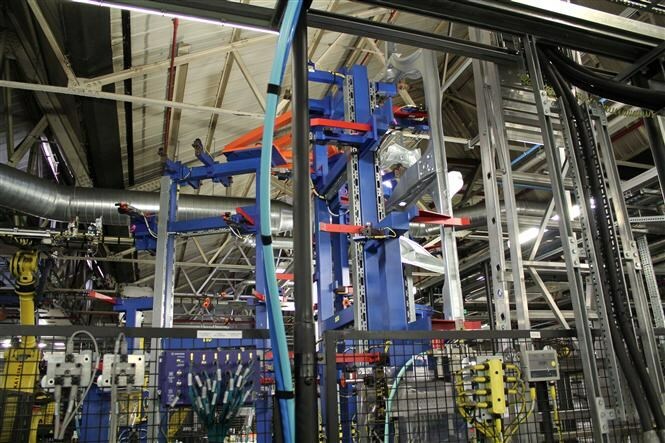 Helping to maintain the proper quality, there’s also what’s described as a ‘very short loop’ between the dealer, the customer and the factory, and feedback is received at the factory on a daily basis. 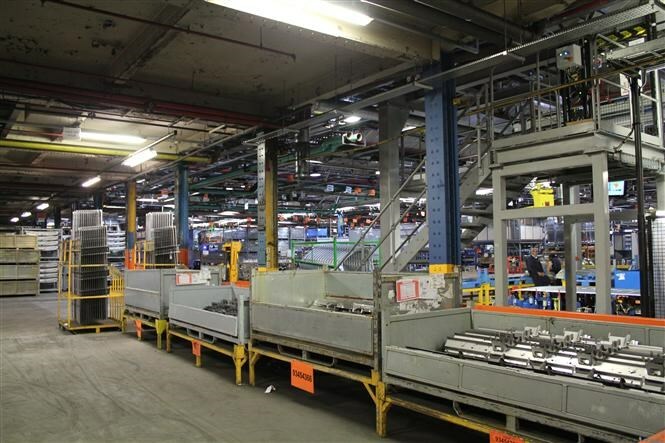 Withey reveals there were four warranty claims the day before our visit, and tells us the related assembly processes involved will be checked to make sure procedures are being followed correctly. 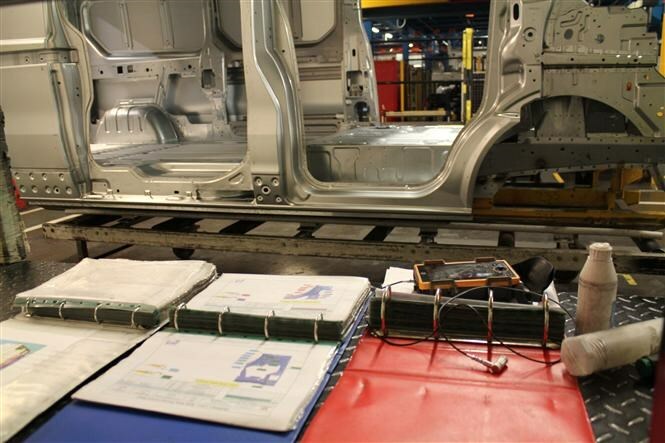 Dealer pre-delivery inspections (PDIs) are also useful to Vauxhall for making sure the vans are being built to standard. But Vauxhall is proactive, too. 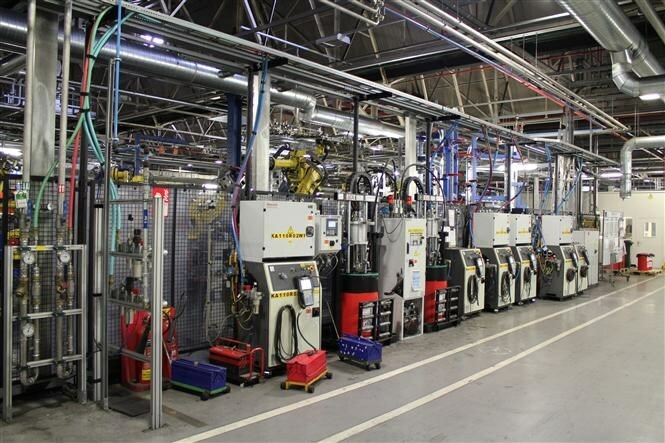 To make sure the main ECU – the electronic control unit, basically the engine’s brain – is bang up to date, these are programmed on the line via a satellite link to Germany where the software is written. This avoids installing ‘pre-coded’ parts that then need an immediate update. You sense that this is quite a high-pressure environment. 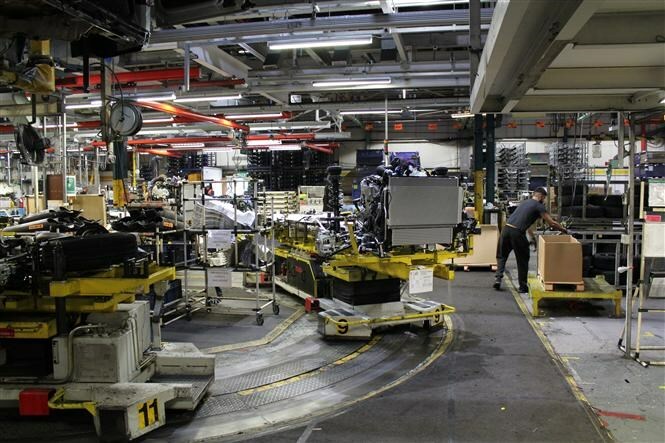 But the importance Vauxhall places on the people it employs to handle this pressure can be seen in the facilities. Every assembly team has its own rest area, with seats, tables, microwaves and all the latest pertinent info. 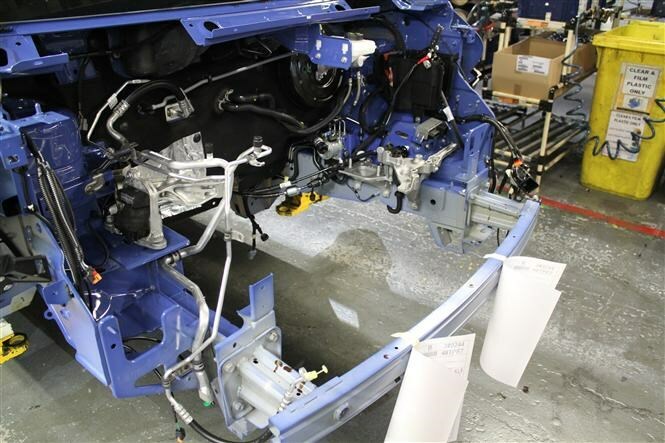 Ergonomic considerations include removing the vans’ doors after they exit the paintshop, improving access while all the other bits are installed, and warming items like the harnesses and wheelarch liners in order to make them easier to handle. At the same time, there are some wonderfully human innovations as well. 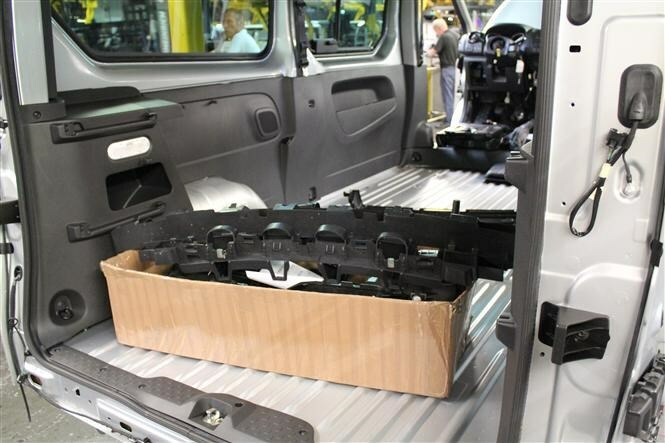 For instance, the parts waiting to be installed in each van are loaded into the back of the one preceding it down the line – which seems a smart use of the obviously available space. 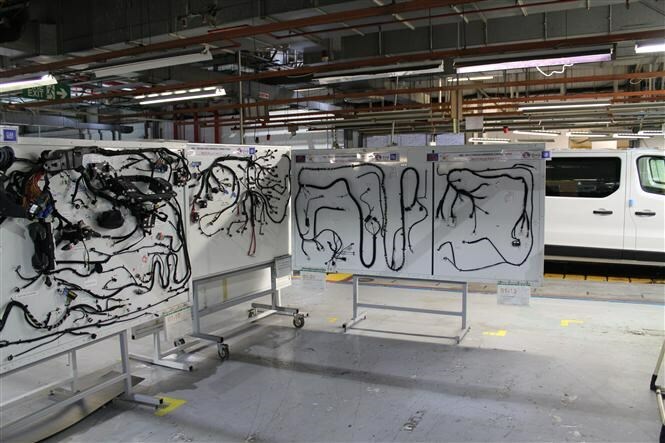 The boxes those parts are stored in are recycled wiring harness packaging, minimising waste. 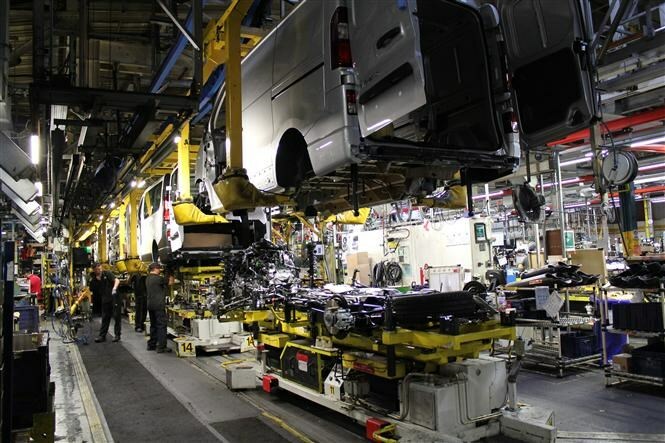 It is an impressive operation, and underlines not only the complexities of modern van manufacturing but also the importance of careful integration between the very latest techniques and the people necessary to make them happen. We’ll never look at a new van in quite the same way again.